Toner is something that I’ve neglected over the years as part of my skin care routine. Up until a couple of years ago, I was pretty much satisfied with the way my skin looked with just a cleanser followed by a moisturizer. But once I hit 35 years old or thereabouts, the fine lines and dark spots started creeping in. I’ve been more vigilant recently, but still hadn’t thought to add toner in. Toner is designed to make its appearance after cleanser and before serums and/or moisturizers. But I really didn’t know WHY I was supposed to use it – so I looked it up. The goal of toners is to remove any excess oil and dead skin cells that your cleanser didn’t catch. So they’re especially beneficial if you get a lot of breakouts or clogged pores. And really, I just like the idea of getting any leftover gross stuff off of my face. Toners are also used to restore your skin’s proper pH. TruOrganic.com sent me their Michael Todd True Organics Cranberry Antiox Hydrating Anti-Aging Toner to review. TruOrganic.com was founded as a certified re-seller of Michael Todd True Organics with the belief that people deserve organic skin care solutions that promote health and beauty, while leaving out the harsh and toxic ingredients found in far too many beauty products. This toner is for normal to dry, mature, and combination skin. I guess technically my skin is mature – 40 is a lot closer than 30 nowadays. And I’m the queen of combination skin. My nose has always been oily, but the skin on my forehead and temples gets so dry that it flakes off if I’m not vigilant about taking extra care of those spots. The Cranberry Antiox Toner has ingredients to hydrate, balance, and neutralize impurities – which sounded perfect to me. There are cranberries and antioxidant vitamins to fight bacteria and environmental damage, and black willow tree extract to help heal damaged skin. It also contains tea tree oil (frequent visitors will recall that I just recently reviewed tea tree oil and learned all about its health benefits, including how it can help your skin). This particular toner doesn’t have the drying effects (or the sting!) of alcohol, so it leaves your skin both thoroughly clean as well as feeling great. The full list of ingredients can be found near the end of this post (although Michael Todd True Organics recommend that you check their website for the most up-to-date list of ingredients, as they’re always working to improve their products). After trying this toner out for a couple of weeks, I don’t know why I haven’t been using it all along. It only adds seconds to my skin care routine (I just put a little on a cotton ball and swipe it over my face and neck), but my skin feels so much cleaner. If you’re one of those people who’s fascinated by the gunk that shows up on those pore strips, you’ll probably also be fascinated by the amount of yuck that comes off your face – even SECONDS after you’ve washed it – when you go over it with this toner. I’m especially pleased that the pores in and around my nose – remember my oily nose? – seem much smaller and less gunked-up. This is one of those products that I neglected for years, but am a firm believer in using every day now that I’ve tried it. And the folks at TruOrganics.com are committed to providing all-natural organic products that are good for your skin (and your overall health). They avoid things like phthalates, parabens, GMOs, artificial colors/dyes, and pesticides, and they also never test on animals. Michael Todd True Organics Cranberry Antiox Hydrating Anti-Aging Toner can be purchased from TruOrganic.com for $18.00 (250 ml / 8.4 fl oz bottle). Ingredients: Aloe Barbadensis (Organic Aloe) Juice, Vegetable Glycerin, Phenoxyethanol, Dl- Panthenol (Pro-Vitamin B5), Niacinamide (Vitamin B3), Beta Carotene (Pro Vitamin A), Ascorbic Acid (Vitamin C), Euterpe Oleracea (Acai Fruit) Pulp Powder, Salix Nigra (Black Willowbark) Extract, Melaleuca Alternifolia (Tea Tree) Essential Oil, Polysorbate, Cranberry Concentrate, Polysorbate 20, Citric Acid. Want to save some money on TruOrganic’s natural skin care products? Through November 23rd, you can save 10% on all purchases at TruOrganic.com by using the promo code FALL10! How about a giveaway? TruOrganic is sponsoring a great giveaway, too! The Grand Prize winner will receive a Beauty Tool Bundle valued at $640! But another lucky winner is going to get the Deluxe Sonic Skin Bundle ($380 ARV), and yet another winner will receive a Sonic Discovery Bundle ($230 ARV). And then 22 runner-up winners will receive a Soniclear sonic skin cleansing brush ($150 ARV)! 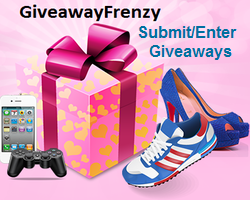 The giveaway ends November 30, 2014. Open to legal residents of USA, UAE, UK, Australia, Canada, Europe who are 15 or older. I received one or more of the products mentioned above for free using Tomoson.com. Regardless, I only recommend products or services I use personally and believe will be good for my readers.Dividing by Zero is not responsible for prize fulfillment. This entry was posted in Deals & Freebies, Giveaways, Product Reviews and tagged Beauty, Deals, Giveaway, Product review by Tara.Bookmark the permalink. I entered the True Organic give-away! Those look like some great products. I entered the True Organic giveaway! I’ve mostly neglected toner too. But a less oily nose sounds like an excellent reason to start using it! I’ve been looking for a good skin care line- and organic is def a plus! I entered this great contest and really hope to win these Michael Todd products. Great prize – thanks for the opportunity! Thank you for the fab giveaway! for the awesomeness, the contest, and generosity. Perfect for my aunt big BD gift which I can’t afford. I love all the prizes ~awesome contest ! Lots of prizes. THese look great! So many chances to win -I love it! Super interesting review! I have always skipped the “toner” part of my skin care routine as well…..this makes me want to think twice about it now, thanks!